Here’s a little secret about trade shows — they’re not all the same. If you’ve been to different conferences or conventions, this may not be much of a surprise. But if it’s your first time to set up a trade show booth –or if you want to make the most out of it –it pays to know where each of these trade show items would excel. These are a staple of trade shows. If you have a booth, you’ll need one to go with it. Our retractable banners come pre-installed on a durable aluminum frame and come with their own handy carrying case. 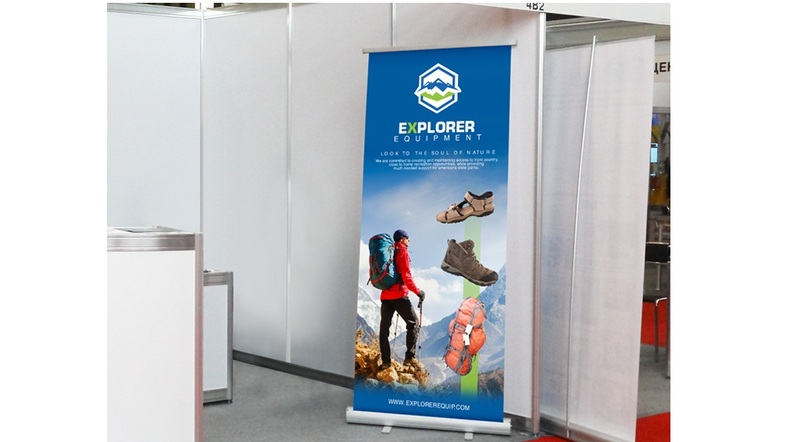 Retractable banners are best for indoor booths that need to be repeatedly moved through different venues. Backdrops with your logo or any custom design, are perfect for giving your booth an added visual dimension. Choose between three different materials and five different sizes for your custom UPrinting backdrops. Backdrops are excellent for giving trade show attendees an interesting visual focal point to take pictures for social media. Backdrops are also good for press conferences and other situations where it’s important to block out visual distractions. 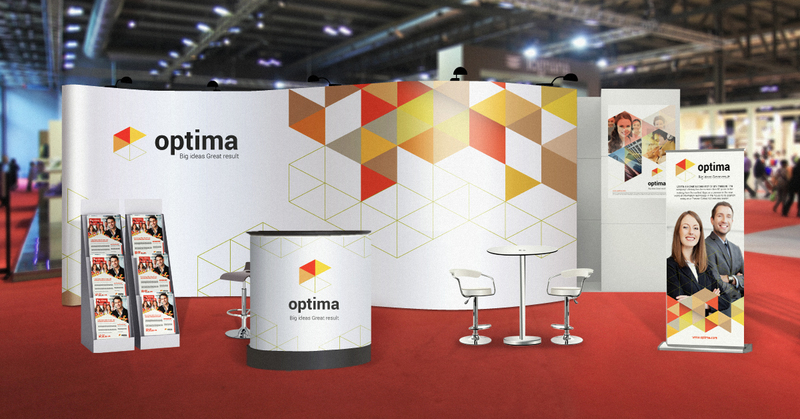 If you really need to turn heads at your next trade show, pop up displays are your best bet. These large format displays can be used as much in the same way as backdrops, but they excel as centerpieces for your booth. You can also add LED lights to your display to make them stand out even more. You could also order just the display, if you already own a suitable frame. 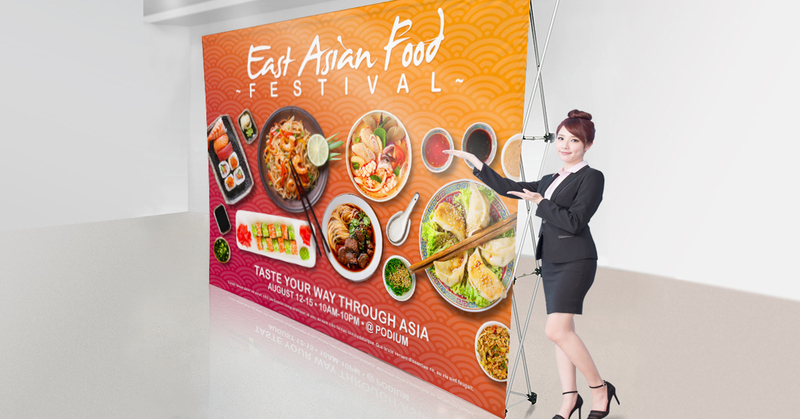 Use pop up displays at all your important trade shows for a guaranteed way to grab attention. Pop up displays come with a trolley bag for easy carrying and storage. Hanging large banners might be impractical in some trade shows, especially when there are space restrictions. Table banners are the perfect tool for these situations, and for augmenting other trade show materials. Our table banners come in heavy duty vinyl, perfect for both indoor and outdoor use, and can be made in any size up to 10′ x 5′. 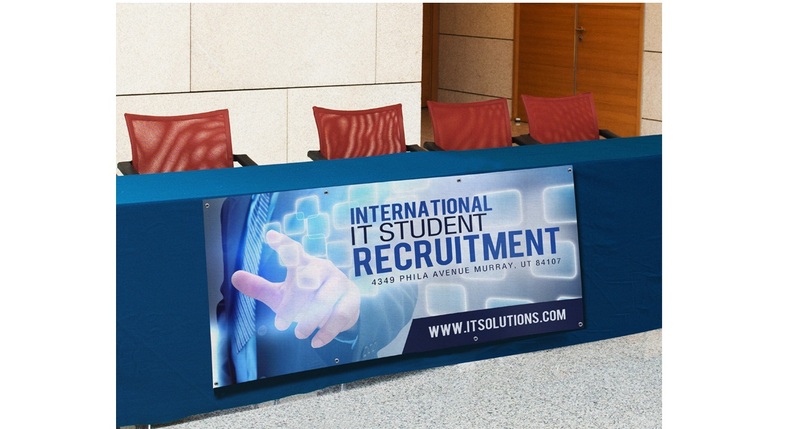 Table banners are suited for situations where the booth infrastructure is limited to a table, or to add to your table’s branding. Table banners are also excellent for any indoor or outdoor booth. 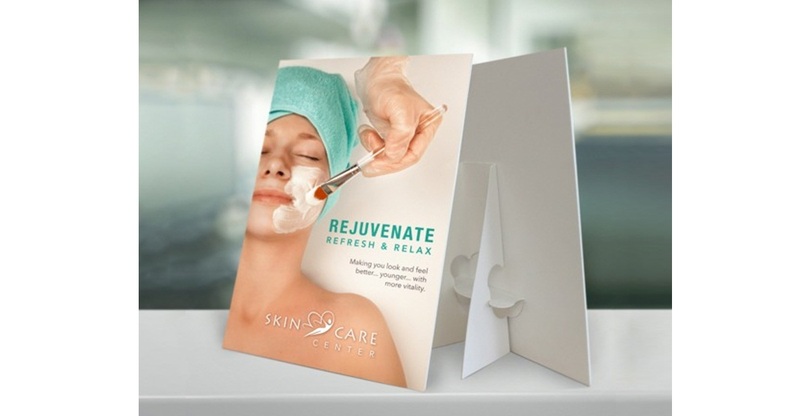 Counter cards are the perfect supplemental piece for any indoor trade show booth. UPrinting’s counter cards are made of durable PVC board, making them resistant to spills and repeated handling, and are supported by a double-wing easel stand. Small enough to sit comfortably on any table, they are sturdier than the easily crumpled cardstock counter cards. These durable cards are essential in any indoor booth, or outdoor booths in low wind conditions. Counter cards are also a good choice for booths that have to be moved repeatedly. Older trade show poster signs made from foamcore often deteriorated from repeated handling, or faded when exposed to sunlight. Our poster signs solve all these problems while still being lightweight. Printed on 1/8″ white PVC board, these durable signs are waterproof and are rated for both indoor and outdoor use. Poster signs should be your first choice for extended outdoor situations. You’ll need pole banners outside the venue to tell everyone you’re participating in the trade show. 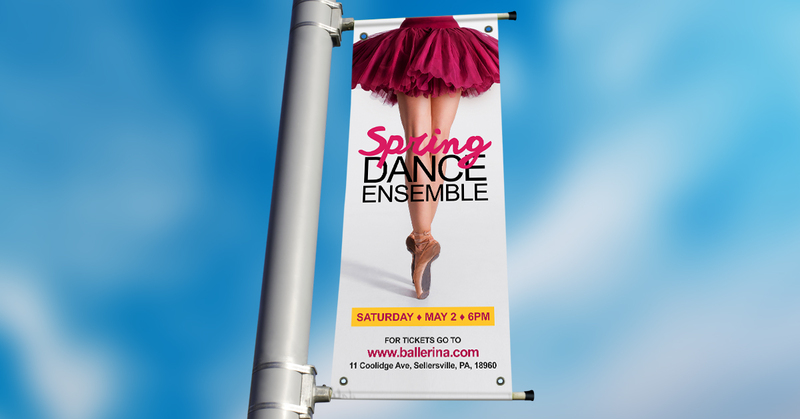 Our pole banners come in full color and are made to stand the rigors of repeated use, both indoors and outdoors. Use street pole banners for easy outdoor advertising on utility poles. 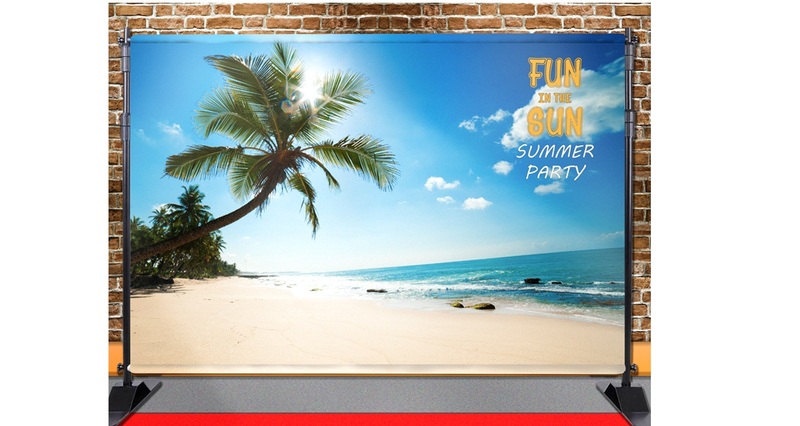 You can also order them with wall mounts for indoor or outdoor advertising. 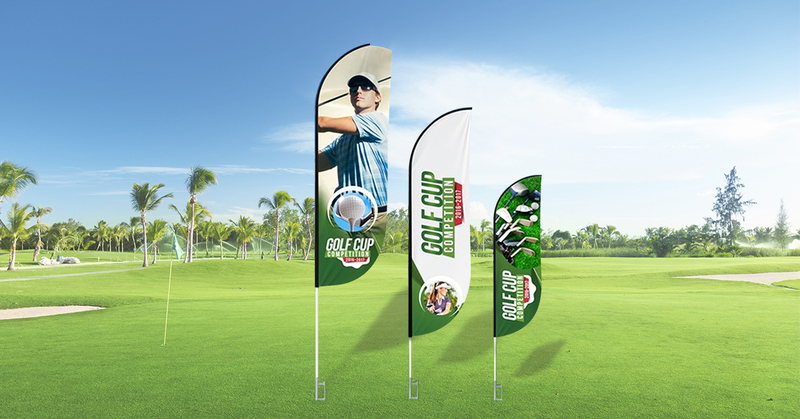 Attractive feather flags are the go-to way to promote your brand at outdoor trade shows. They can quickly catch attention by moving in the breeze, while the message and images remain clear and readable. 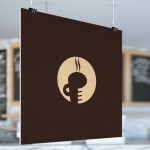 Thanks to a selection of base attachments, they’re also a nice alternative to retractable banners for indoor promotions. If you’re participating in a trade show held outdoors, these are a must have. Feather flags come with a travel bag for easy carrying and storage. Custom tablecloths can transform any regular rectangular table into a promotional tool that really completes the look of any booth. They help maximize the tight spaces available at trade shows. The best part about tablecloths is that they let you use the underside of your table for hidden storage. And they’re reusable too. 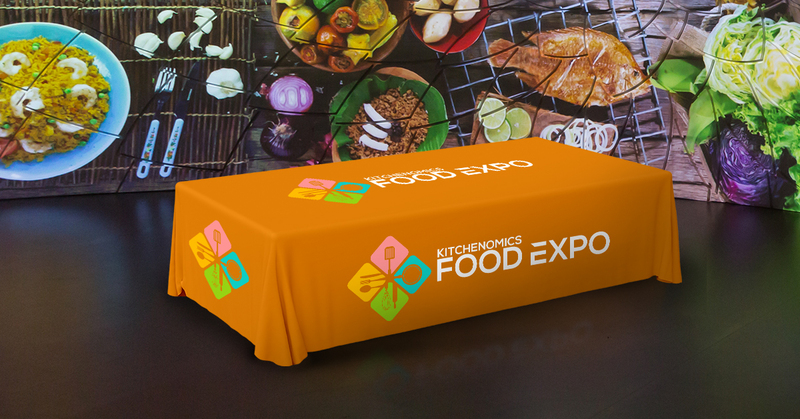 Our tablecloths are machine washable and are a great investment that will last through multiple trade shows. Custom tablecloths are a must-have for every convention booth.Tablecloths come in 3 and 4-sided types.Choose the 3-sided option to allow easier access under the table and choose the 4-sided option for situations where all sides are visible to convention-goers. Custom sales sheets are an often overlooked but crucial part of any trade show promotion. 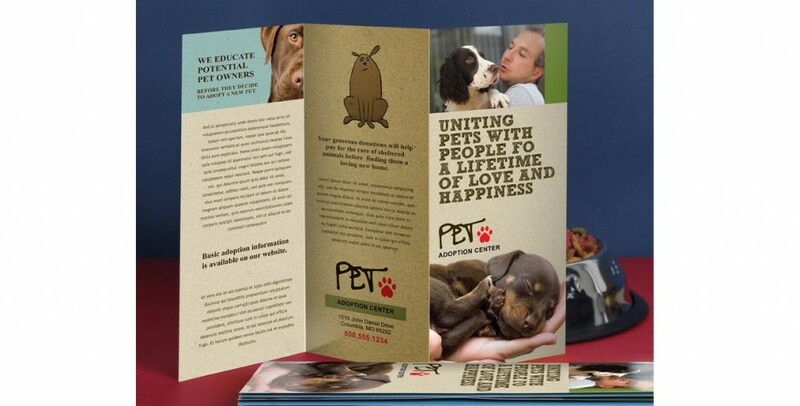 UPrinting’s sales sheets can be printed with stepped inserts to make it easier for customers to browse through multiple sheets. Choose to have them 3-hole punched for sheets that you can quickly organize in any 3-ring binder. Choose between standard or custom sizes. A standard tool in B2B sales, sales sheets are an attractive way to present otherwise complicated offers in an easy-to-digest manner. Brochures are the quintessential trade show piece. You simply can’t expect to join one without them. 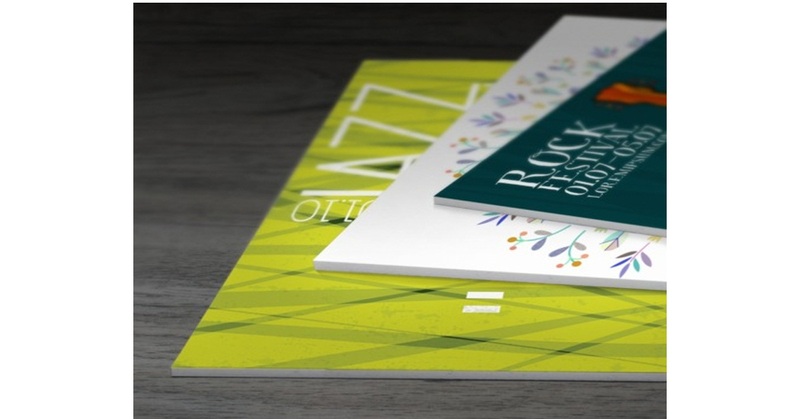 Help your brochures stand out with full color and a variety of folding options. 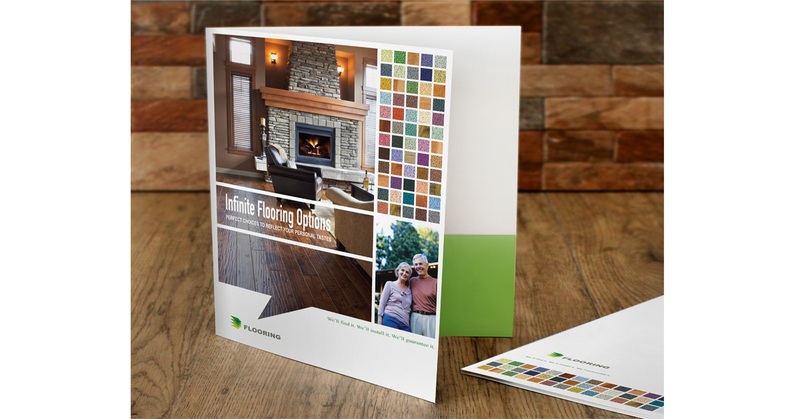 Our brochures are available in different gloss, matte, and uncoated stocks. 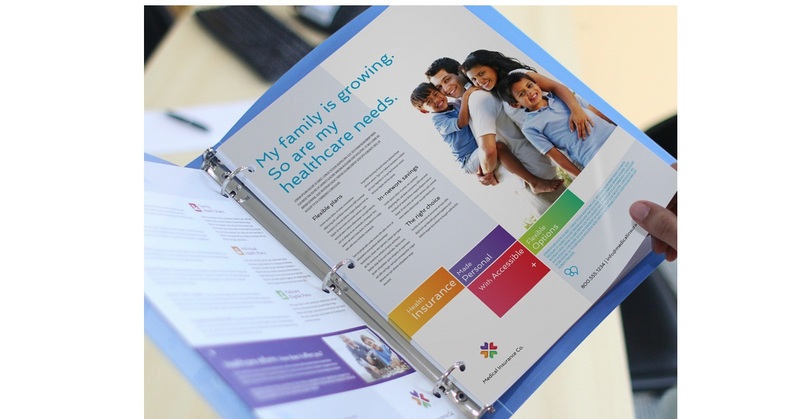 Convert convention attendees with a well-designed brochure. They excel for B2C marketing and for selling less complex offers than you would on a sales sheet. UPrinting’s custom folders don’t just promote your brand — they’re perfect for collating other trade show materials in one neat package. We offer pocket folders and mini folder options. Our pocket folders come in three sizes and have pockets in just the right size for most flyers and business cards, as well as many other small promotional prints. Mini folders have the functionality of their larger cousins in a smaller package. All folders are made with a durable cardstock in your choice of matte or gloss finishes and have the option to add a business card slot. Organize other small trade show prints in style. Consider custom folders when want to give potential customers a more comprehensive idea of your offer using a variety of print materials. Some trade shows last for over a week, others last for only a few hours. Some might be outdoors, in direct sunlight, while others may be indoors. Different shows call for different print products, and knowing which ones work best in a trade show can make all the difference. Have your best trade show yet. Create your own trade show displays.